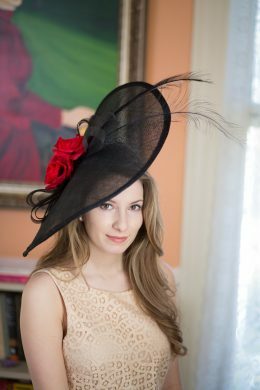 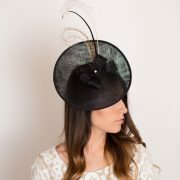 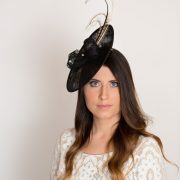 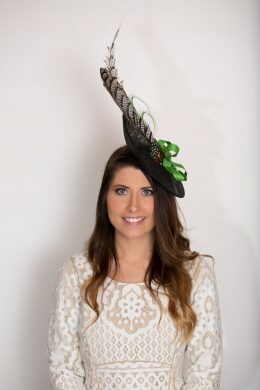 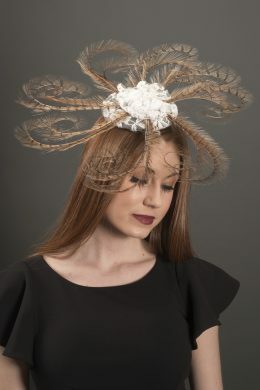 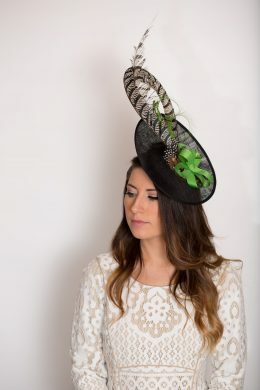 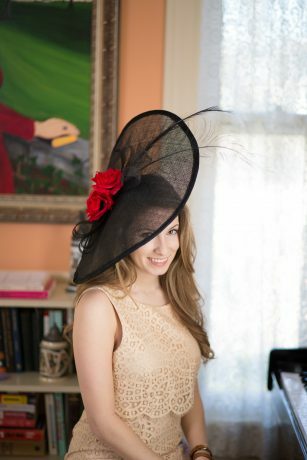 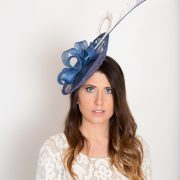 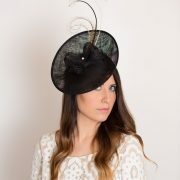 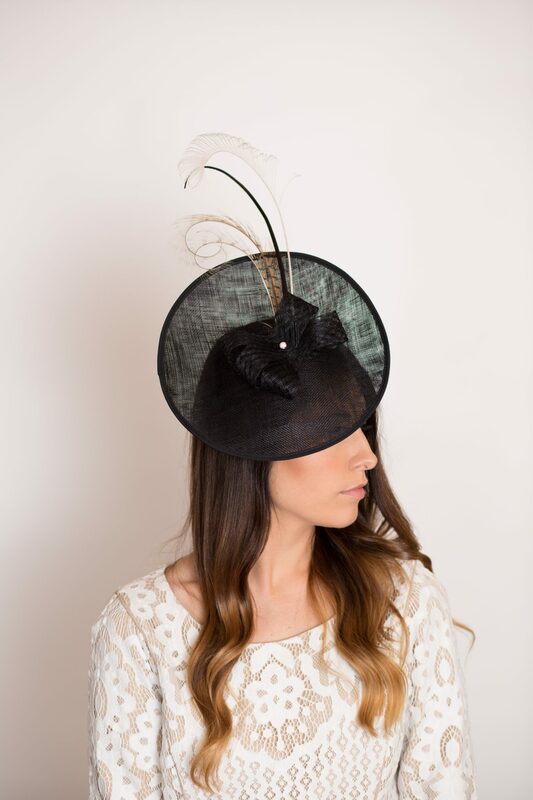 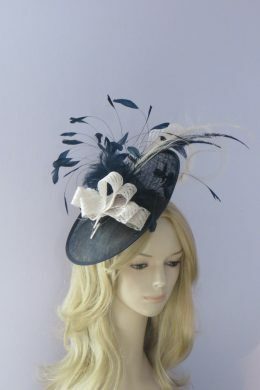 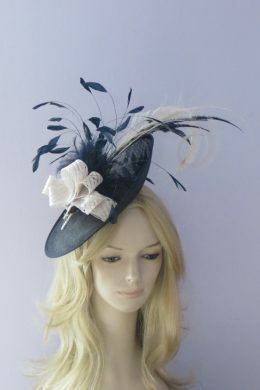 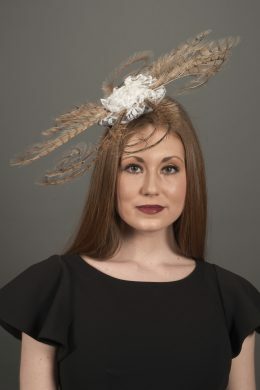 Camden Town is a black saucer hat trimmed with three different types of feathers. 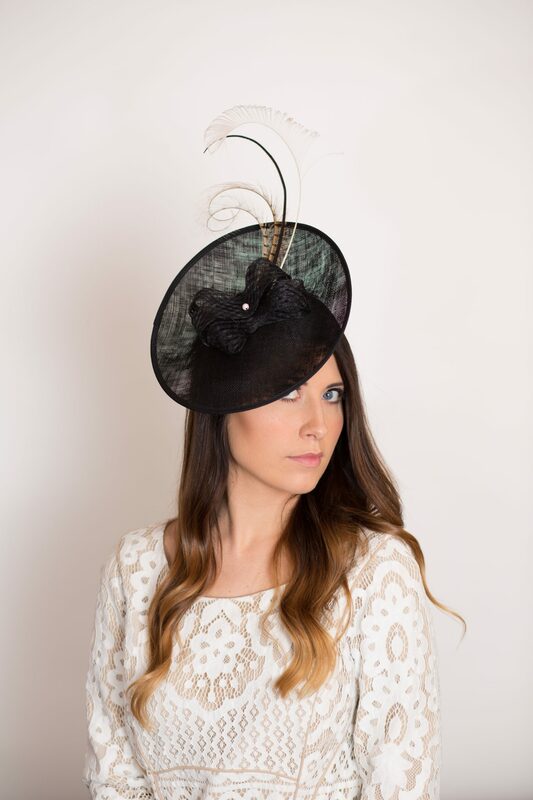 Named after the district in London, our Camden Town is fashionable and sleek. 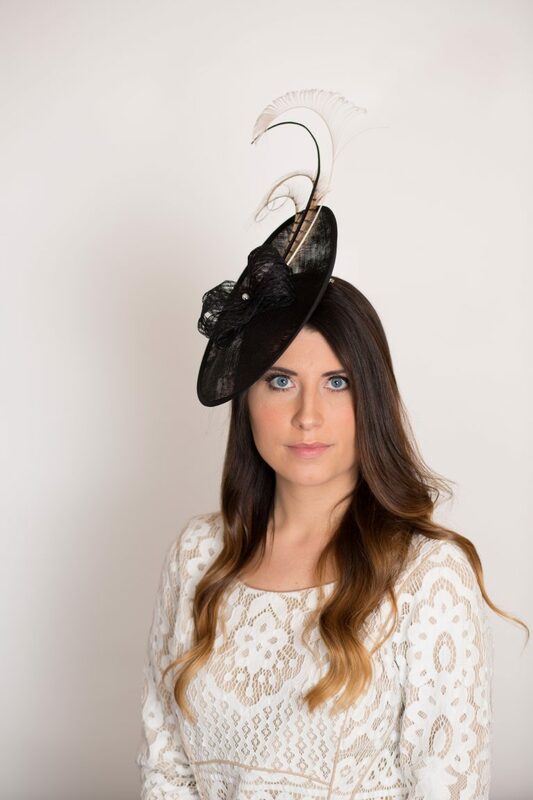 Worn on a 5 inch wide comb, Camden Town works at the races or anywhere you want to stand out in a crowd.